I bought this at http://www.shabbycottageboutique.com/ a couple months ago. I fell in love with it when I saw it on Flickr. I was a little worried when I didn't hear back from Denise after I bought it. A couple weeks ago she sent me an email saying she had been ill and had computer problems but she would be sending it soon. I was so excited when I saw the mailman walking up with this huge package (it's 3 feet long). 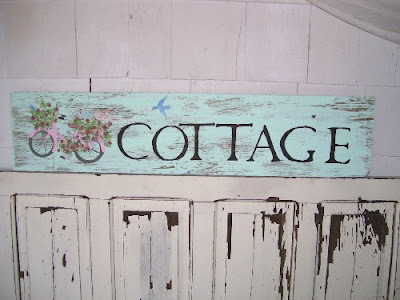 This sign was painted by Denise from a board she found that washed up on the beach in Cape Cod, MA. She also included a beautiful vintage piece of jewelry from France which was so sweet of her. I forgot to take a picture of that but I will so I can share it with all of you. It's beautiful! I put the sign above my bed. It's perfect in my cottage bedroom! Beautiful sign! Its perfect in that room. Love it. Love it. Love it. I saw it somewhere (probably where you bought it) and envied you and wished I'd gotten it first, but it fits so beautifully in your room which by the way is straight out of a magazine... So beautiful! And wonderful history to realize it was actually washed up on the beach before being painted! 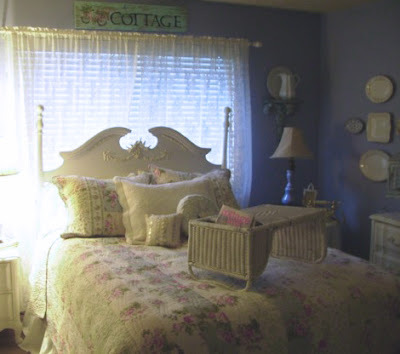 Oh my gosh, that is darling!It looks perfect above your bed and the bedroom looks so romantic with the bed tray, etc. How pretty! Its beautiful! I am so glad you showed the full picture of your bedroom, I just adore the bedding and the color of paint on your wall. 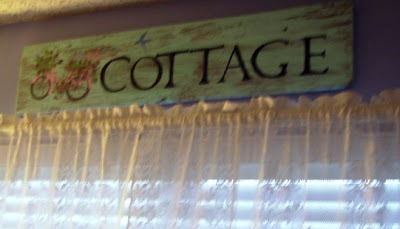 Its a very pretty and cottagey room for such a sign! 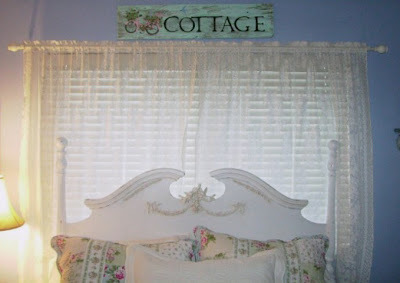 I posted a picture today on my blog of my cottagey or "shabby chic" guest room. I think you would like it, too. I love your new sign, Cindy. Perfect spot for it too. I love that she found the piece of wood. I have been painting, signs using old barn wood pieces. I don't have any to show you though. I give them away as gifts. I will have to check out the website where you bought the sign. Ooooooo, I am so excited for you that your sign arrived! 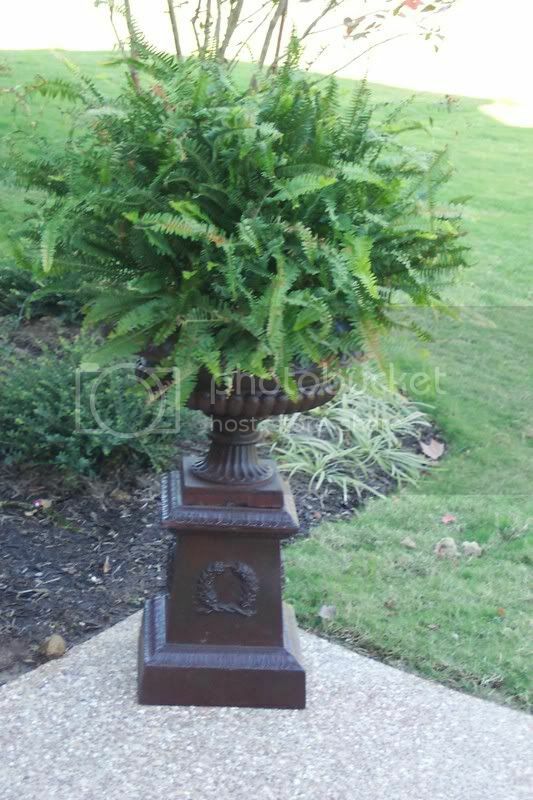 It's perfect for your room! I love the way you have fixed up your bedroom to be cozy and pretty. I love the sign, but i adore your bed! 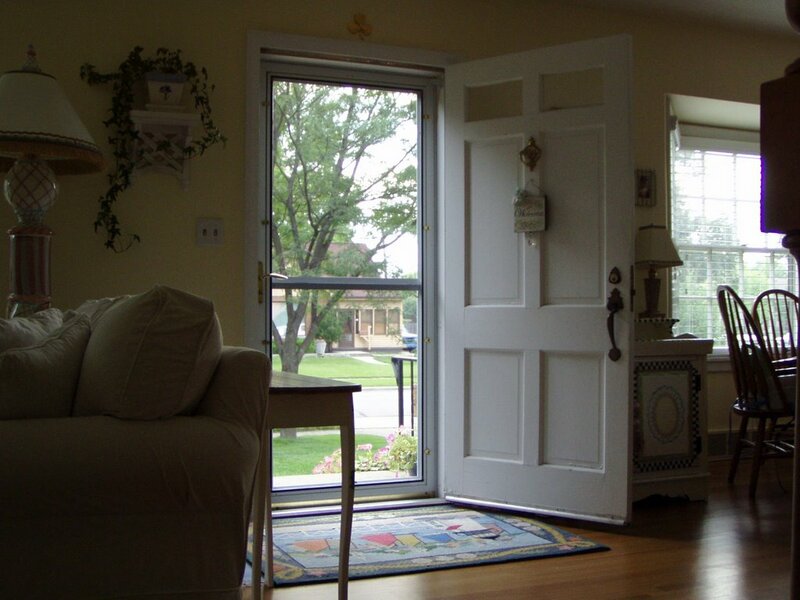 I posted my piece of Denise's art I bought from her in my blog. Come see if you'd like a look! Cindy, I love your new sign....it so suits you, and your home! How perfect and love where you placed it in your home. What a beautiful sign and I love where you have placed it! Your home just keeps evolving and oh how lovely it is. YOu should be so very proud of how beautifully you do so many things! 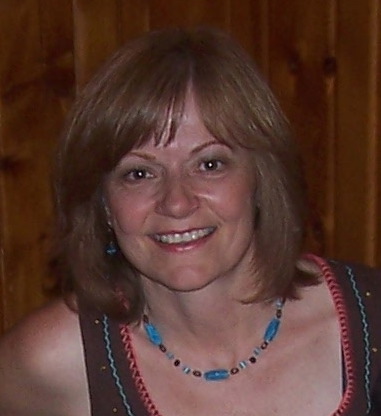 YOu live life elegantly and with style dear Cindy! 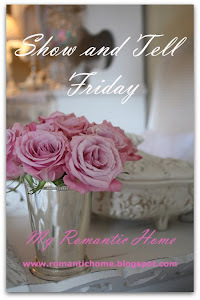 I love the sign and it goes perfect with you bedding. I am awed at the bed that you refinished. It's beautiful. I LOVE IT! And it looks so beautiful above your bed. Thank you so much for posting a picture! Thank You for your lovely comments and support.I found more wood pieces for signs after our last Nor'easter. Cindy, your bedroom is just beautiful. It's a perfect finishing touch for your bedroom. I love the wicker breakfast tray on the bed, too. Wow, what a great sign, I love it!! Enjoy it!! Oh my goodness! 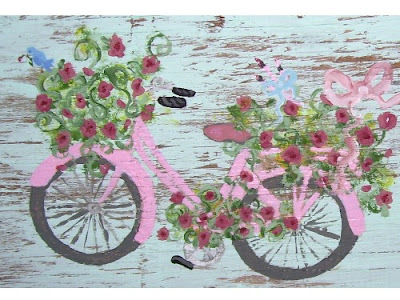 The pink bike is killing me! Love, love, love it! What a sweet addition to an already stunning bedroom! How beautiful. She is clearly very talented. It looks perfect in that romantic room of yours. Thank You all for your inspiring comments and feedback.I will be posting more signs for you. 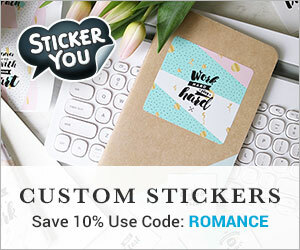 Beautiful & perfect in your room!